The subject of working parents and flexibility comes up time and time again at Ascendant Recruitment from two angles – what can we provide for our candidates and what can we provide for our staff. I’m going to write a few blog posts about the topic as it’s huge, but first I wanted to talk about why I offer flexible working for my own team here at Ascendant Recruitment. I think that being a good mum is difficult. I think many of the skills such as plate spinning and constantly changing and re-changing your plans that come with being a parent make you ideally suited for recruitment. I’ve seen lots of fantastic people sidelined from work because the cost of organising childcare is prohibitive and the inflexibility of nurseries/employers make it a nightmare for many working parents. I’m pleased that at Ascendant Recruitment, I’ve got the chance to change that for my team. Research has showed that there is a ‘parent penalty’ in place – whereby parents, often mothers (but not always) are taking deliberate steps to stall their careers so that they can look after their families. I’m a working parent myself (I have three teenage children) and I have managed to build a successful business and managed to do my fair share of school runs, sports days and assemblies and this is something I’m passionate about offering to my staff. Hopefully, this blog will inspire other companies to consider flexible working for their team. At Ascendant Recruitment, I have three part-time members of the team. All are recruitment consultants and over the next few weeks, we will be sharing their stories. 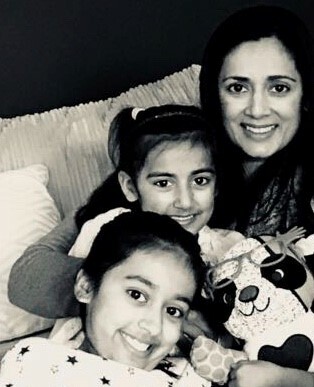 First up is Sharan Lidder, who is mum to two daughters Jaspreet aged 10) and Amrit aged 6. “Since I became a parent, I have worked part-time, taken a career break and I now work 5 days a week to fit in with school hours. 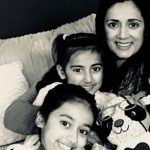 I enjoyed being off for 12 months’ maternity leave, but I found that 3 years off as a full-time mum was a bit too much – part time is the perfect balance for me now. I have struggled to find roles to fit in with my family. After my first maternity leave nearly 10 years ago, I was due to return to a full-time role, but I was lucky enough to find a recruitment company happy for me to do 3 days per week. After my career break I was lucky again to find Ascendant who were happy for me to do hours to fit in with my girls schooling. Nick was actively seeking people who were looking for part-time as well as full time roles. « Life after redundancy – what next?